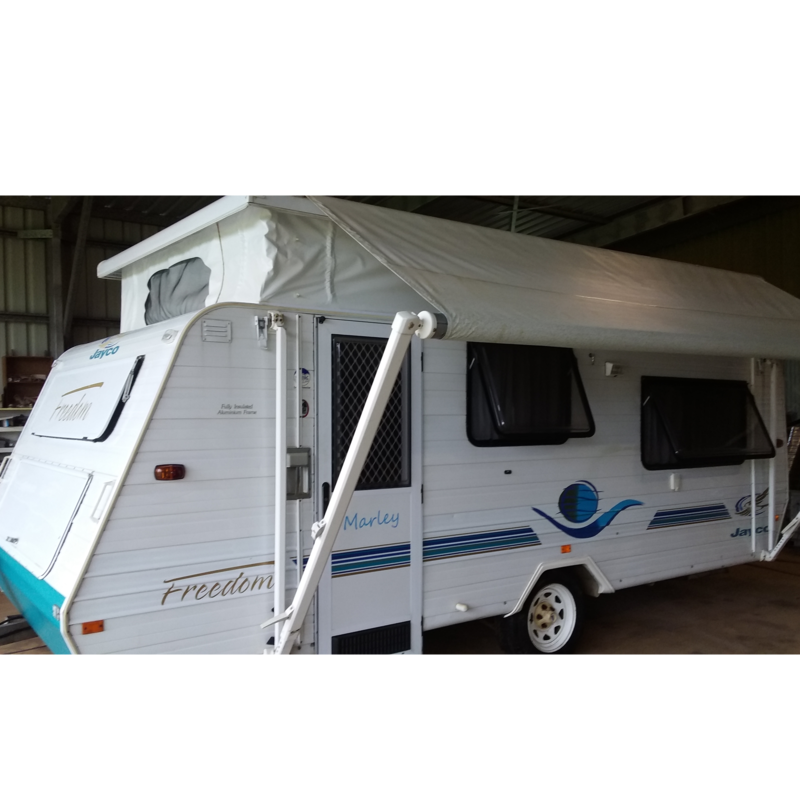 2003 Jayco Freedom Poptop Caravan. 17ft Gas and RWC. Roll out awning with side curtain annexe. Air con, new floor converings, twin beds, TV & microwave, Gas/Electric cooktop and gas grill. Two tool boxes fitted to rear. Good condition.